In my role as a Solution Architect regular readers of this blog will know that this year I’ve been heavily involved in Information Exchange Gateways. 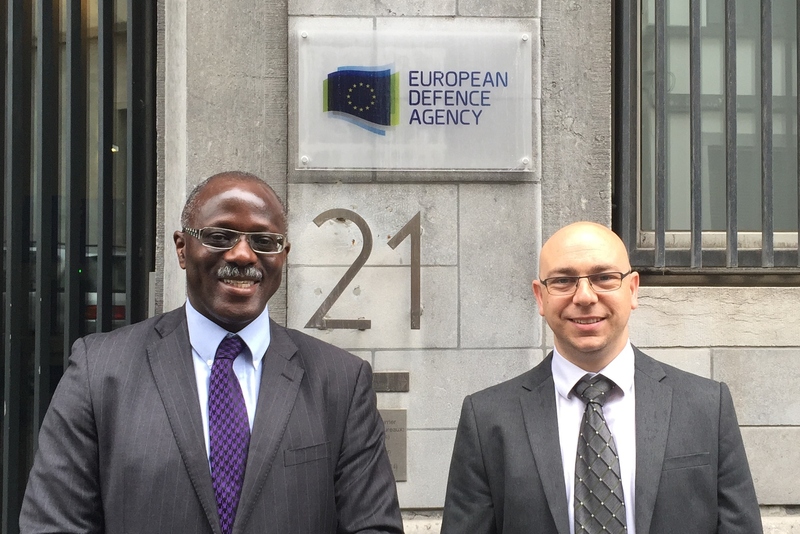 I was recently over in Brussels at the European Defence Agency (EDA) headquarters to deliver a final presentation on the IEG work we have done for them. Possibly the biggest challenge that came up in the meeting was around the flexibility required in enabling secure information exchange. Along with my colleague Neville Smikle, Head of Operations at Nexor, and our German partners at CSC, I was presenting to the member nations of the EDA. We were outlining the IEG Demonstrator that had been developed for them and looking at the issues that had been overcome in its development. From my experience with this project and the others I’ve been working on recently, each scenario where an organisation wants to set up an information exchange gateway to enable secure sharing of information, ends up with specific factors that they require and these vary from project to project. Rapid reconfiguration – to meet different deployment requirements, there is often a need for rapid reconfiguration of the system to adopt different protocols and security policies. As such it is very hard to define an exhaustive list of exactly what is needed to implement an IEG – every situation is different, so it is vital that when you are looking at how to build a solution that you have flexibility to meet these different needs. I’ve briefly covered the issue of flexibility here. The other big challenge that we discussed in Brussels was around getting solutions accredited, so I’ll tackle that in my next post. In the meantime, if you want to find out more about IEGs and what the hot topics are with them at the moment then take a read of the new Nexor white paper “Information Exchange Gateways: The Evolving Story”. I’d be interested to hear what your experiences have been, so please get in touch. Martin Cooper is a Solution Architect at Nexor delivering cyber security solutions to governments, defence and critical national infrastructure organisations.